I tried on TOYOTA AQUA. Unfortunately, the typhoon was approaching and it was raining heavily throughout the day. Therefore, all the pictures are dark images. 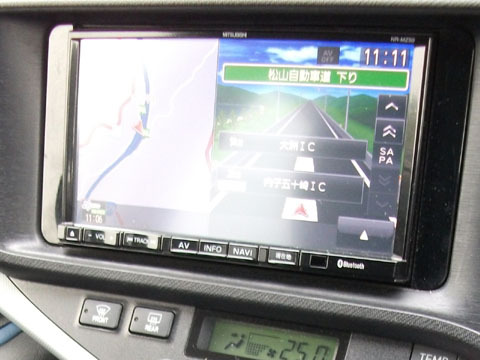 If it is a high grade, the steering wheel is equipped with a switch for audio and navigation. However, the car borrowed this time is a cheap grade, so such a switch was omitted. 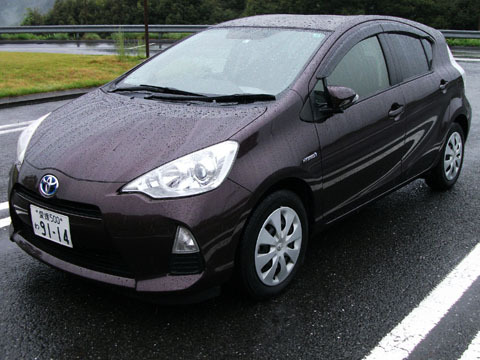 Because it is a hybrid car, I was surprised at the fact that the sound of the engine does not sound at all at the start. A general model was connected for navigation. There is a function to display the backward image at the time of backward, but the image was not displayed because the camera was not connected. I was hoping that I could play the music that I installed in the USB memory, but since this model connects with Bluetooth, I could not use the USB memory. The meters are located in the center of the cockpit, in the back. 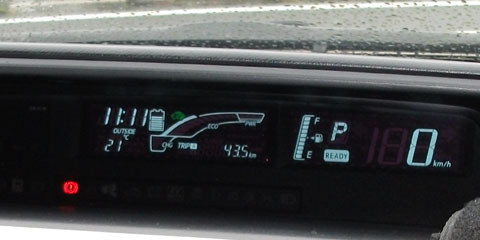 Because the speedometer looks frequently, it is located on the right side and is near the front of the driver. A meter indicating the output is displayed on the left side. When accelerating, the meter stretches upward, and when the regenerative brake charges at deceleration, the meter extends downward. 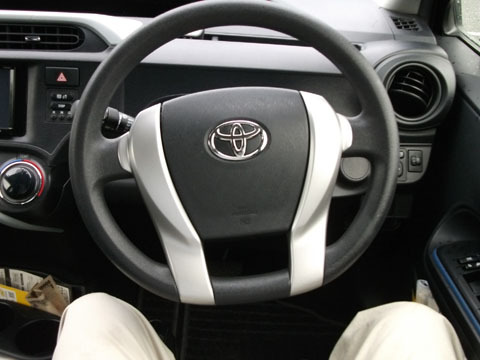 The shift lever is a general arrangement, and a special lever like the Prius is not used. というか B ってなんだ…と思ったら、ブレーキの B なんですね。 よくある S とかでいいじゃん!? Looking at the room mirror, you can see the entire rear window. 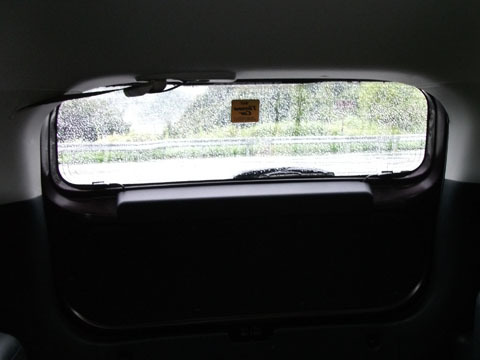 If you look directly at the back, you can see that the visible range is rather narrow. 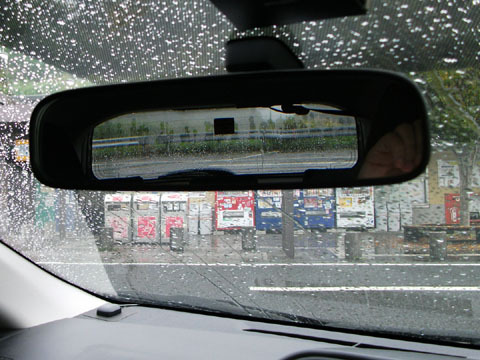 Because the left and right pillars are thick, the blind spot when driving is quite large. Therefore, attention is required for lane change. 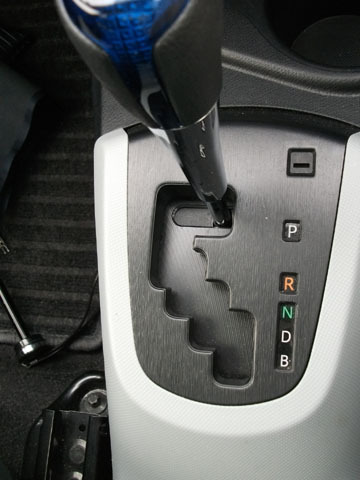 When the shift lever is set to "B", it operates when the regenerative brake releases the accelerator pedal, so it is easier to decelerate. Since general engine CVT does not operate effectively, attention is required when running on the down slope, but for this car it can be run more safely by setting it to "B". The luggage room is not very wide. 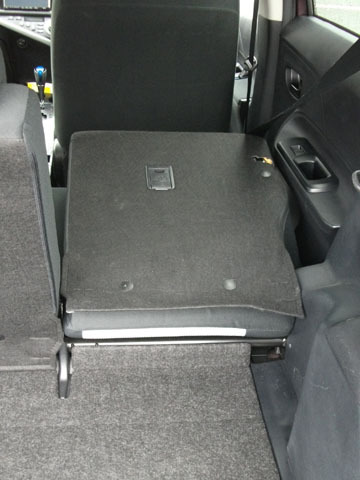 The place that looks like the floor is a lid for hiding the spare tire, so you should not put too heavy objects or pointed objects. 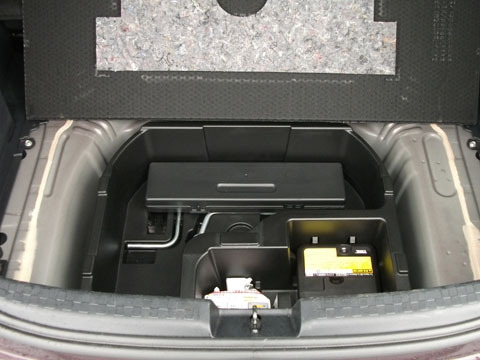 When you defeat the back seat, the luggage compartment becomes a little wider. However, because there is a big step, you can not put big loads or sleep in a luggage room. The engine sound of this car is quite small. 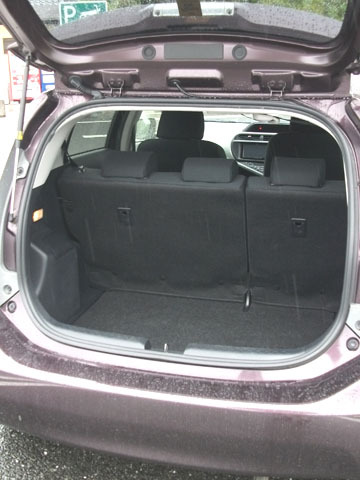 Therefore, when you are accustomed to other cars, the feeling of sound and speed are considerably shifted. Also, when running on a highway, I was concerned that unpleasant vibrations occur in a wide speed range. When entering the garage or moving backward, it seems that it is a premise to use the camera behind. Therefore, it is difficult to retreat while watching the back directly. This time we drove at a distance of 188 km and consumed 6.95 liters of fuel. Converting to fuel economy, it is about 27 km / l. This time it is a reasonable result because half of the process is an ordinary road, and it included mountains. However, the specification was 34 km / l, so it was a result that was much inferior to the specification.